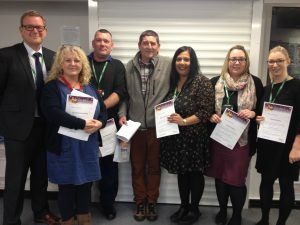 The Winners of the Sandwell UNISON Stars in our Schools Award for 2018 are Neil Matthews and Charlie McAllister from George Salter Academy. 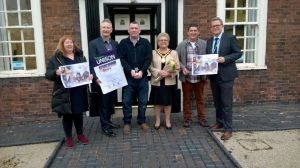 Pictured are Neil and Charlie next to the Mayor Joy Edis. Neil and Charlie got to don the Mayors robes. Congratulations to both. They were selected from 64 nominations in total. The picture below is of all staff nominated from George Salter.